Second and dopest release by The Shark (Michael Pennini), coming with some straight dark mafia raps and beats. Scratches on all tracks by Dj Total Eclipse from the X-Ecutioners. 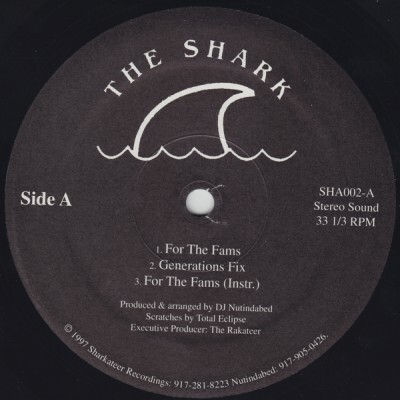 comment "The Shark – For The Fams / Generations Fix / Grand Design (VLS) (1997) (FLAC + 320 kbps)"